This news item was posted in F, Foot, Pain category and has 0 Comments so far. If you consider that each stride an adult takes places 900 lbs. 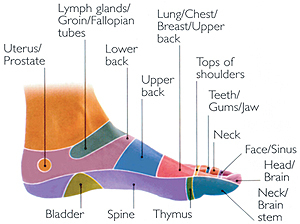 per square inch of pressure on the bottom of the feet it is almost a certain fact that everyone at some time in their life will suffer from some type of foot pain symptoms. Be it something simple like athletes foot, or an ingrown toenail to more complicated problems like a bone spur, hammertoe, bunion, or pinched nerve; from pain on the top of the foot, bottom of foot, ball of foot, side of foot, moving all the way up to chronic foot problems like diabetes or poor circulation. The purpose of this site is to give a practical discussion of various foot, ankle and lower leg pain, how it occurs and what you can do to alleviate the problem. The difference in this site compared to other medical sites is that the information contained here is written in simple, easy to understand language, along with easy to understand diagrams and pictures. Some of the subject matter even contain short video demonstratons. As a practicing podiatrist with over 25+ years in clinical practice…. …. I discuss various foot problems in the same way that I discuss them on a daily basis with my patients; people just like you. What you will come to find as you read through the various topics is that many foot problems are avoidable using nothing more than a little common sense while other seemingly “not so serious” foot problems can have major catastrophic consequences. So…if you know your problem use the navigation bar to the left to learn more, or if you are unsure of your problem use the “Foot-Pain-Finder” below.